Even though you will be in a fog most of your twins’ first year, you will eventually want to go out on a date with your wife. You’ll need a babysitter if you want to leave the house without the twins. Getting a babysitter for twins is a little more complicated than with a singleton. If you still struggle with singlehandedly taking care of both your twins, then think twice about leaving them with a teenage babysitter from down the street. 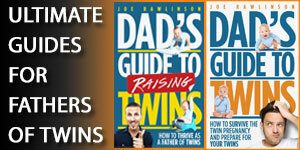 Many of the dates that my wife and I took in those early days of twins started after our girls were asleep and in bed. It was much easier to have a babysitter come over and simply watch the house (and sleeping kids) than leave her with a handful of child care. So if you have to “cheat” by going on a date after the twins go to sleep, that is just fine. Regardless of your twins’ age, a key to getting them ready for a babysitter is to have a regular bedtime routine you follow. A babysitter will be a new unknown in their space so falling back to the safety of the known routine is critical. 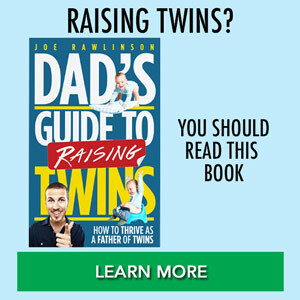 Talk to your twins (repeatedly) about your date night and that you’ll have a babysitter coming over to play with them and help them get ready for bed. Setting expectations early (even with very young children) will help eliminate, or at least reduce, the surprise and shock when the babysitter actually walks through the door. Ideally, your twins would meet the babysitter before the actual date night and in a forum where mommy and daddy are still around. Introduce your kids to the neighbor or a potential babysitter during the normal schedule you already keep. Familiarity will help comfort your twins when date night arrives. Aside from the normal instructions you’d leave a babysitter (how to contact you, emergency info, bedtime, etc. 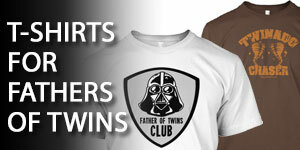 ), twins require a little extra information. Make sure your babysitter can tell your twins apart. Let your sitter know which blankets, toothbrushes, and other “stuff” goes with which child. 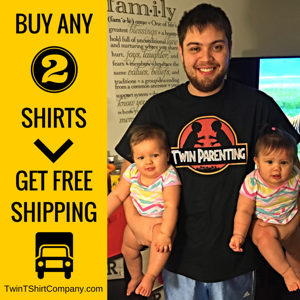 Often your twins will know and naturally grab the right item but this isn’t always the case. Explain to your babysitter the routine your twins are used to and how that should play out in your absence. 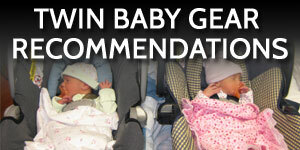 Identify where your twins sleep and in which bed. If they are already asleep when you leave on your date, this is extra important, particularly if a given twin has special needs or is more likely to require attention. Once you go on your first post-twins date and leave your twins at home with a prepared and competent babysitter, you’ll wonder why you didn’t go out sooner. Enjoy your evening out and don’t wait too long before you go out again!